The hustle and the bustle of DSD...and it's not even Christmas yet! I hope your DSD weekend is a fabulous one. I hope you get everything on your wish list and maybe even a little more. To add to the amazing weekend I'm going to give you a little something just to show you how much I appreciate you all! 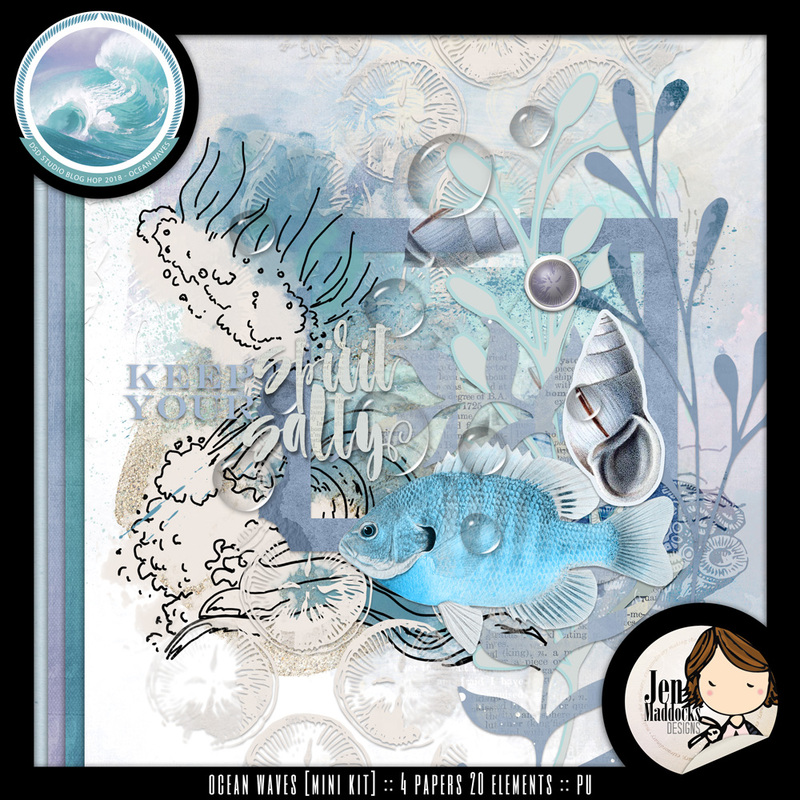 The Studio is giving away a kit entitled Ocean Waves in a Blog/Facebook Hop. I've got part of it here on my blog to give to you. 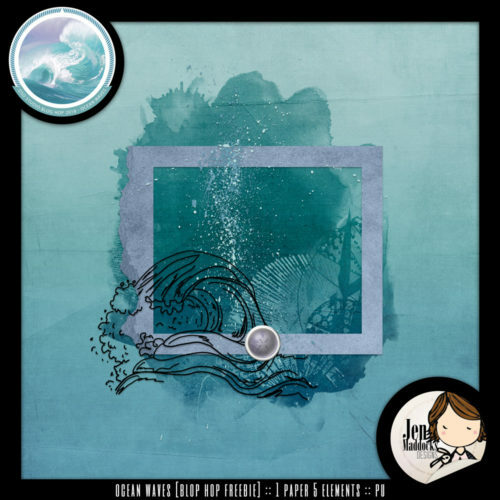 Welcome to The Studio Ocean Waves Blog and Facebook Hop! Each participating Designer has made a special Freebie just for you, collect them all and you'll have an amazingly big collection! This freebie is NO LONGER available for free but you can find it HERE in my shop for purchase. If you get lost you can see the whole list of participating designers on The Studio Blog. And don't forget to shop my new releases!! Also keep and eye out for FLASH SALES on Friday, Saturday and Sunday! Have a fantastic DSD weekend!! Jenn, your contribution to the blog hop is beautiful -- thanks so much for sharing it! Thank you Jen, it's lovely. Hi Jen. I love the colors and theme of this blog train. However, I have been trying to download for the last few days and am getting an error-not found message. Help? Thank you. Thank you! I always love your designs.